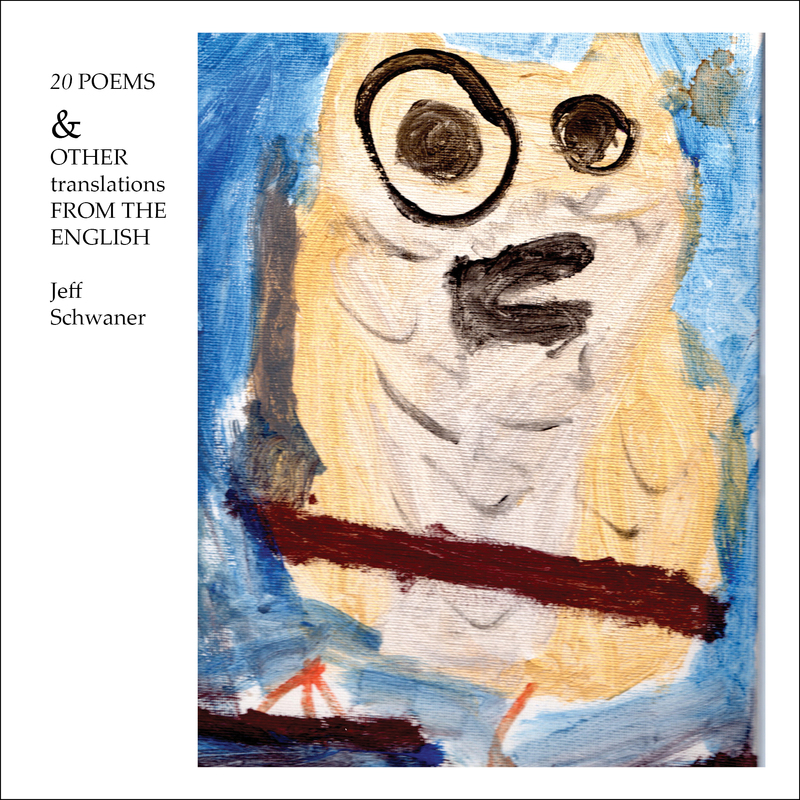 This entry was posted in Book Design, Books and tagged Aurora Schwaner, cover, poetry, readings, Staunton, Translations on September 3, 2013 by Jeff Schwaner. Coming 10.17.2013: First public reading since, errrr, 1998? Has it really been that long since I’ve read in public? Yes and no. Mostly yes. I have read a few times this summer at monthly gatherings of Staunton’s local writer’s group, the Staunton Waynesboro Authors Group, at a wonderful wine bar downtown called AVA. Those readings consisted of an hour of socializing and drinking, followed by a shotgun procession of members reading for no longer than five minutes. 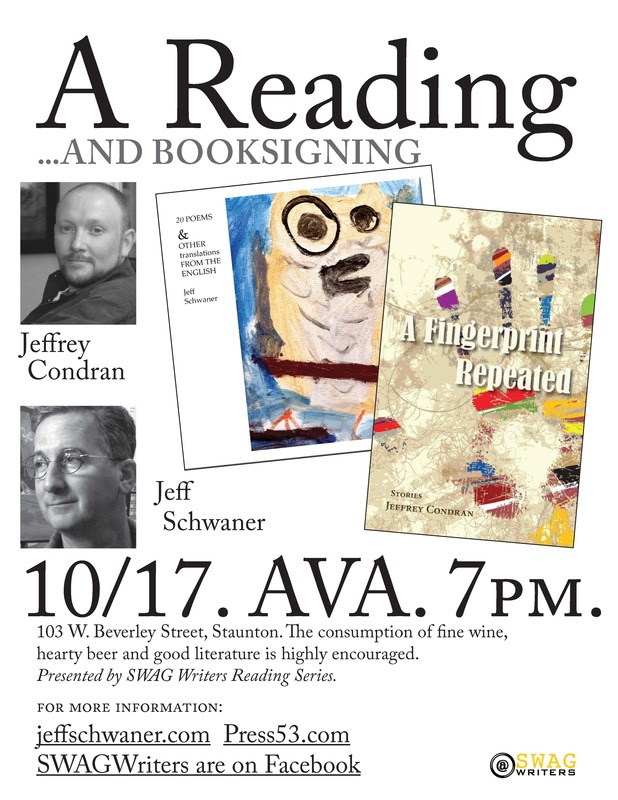 I found it invigorating to read in front of this group of varied interests and styles, and was surprised and gratified to get invited to be part of this upcoming reading (also at AVA) with visiting author Jeffrey Condran, whose book of short stories A Fingerprint Repeated is being published in October by Press53. Still trying to convince myself that the reading’s organizer, SWAG chief Clifford Garstang, did NOT pick me to read mainly on the basis of my first name. . . 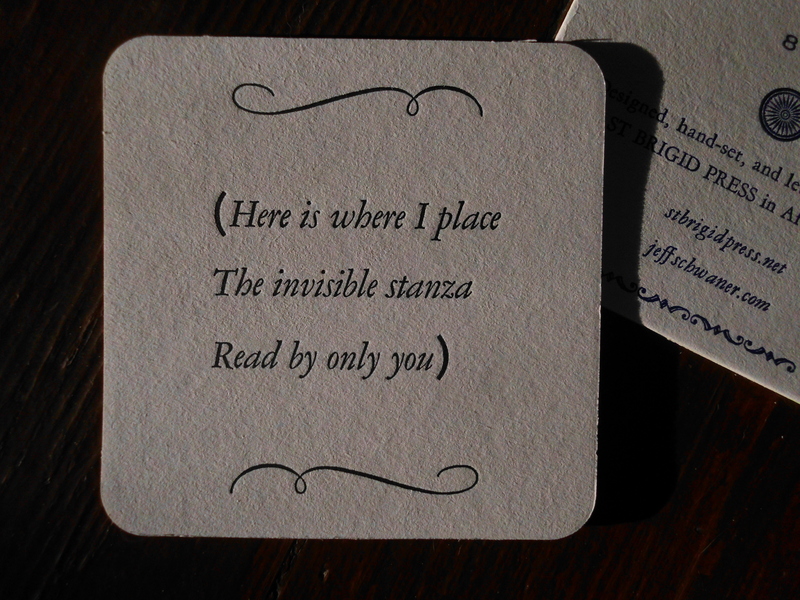 This entry was posted in Uncategorized and tagged literature, poetry, readings, Staunton on September 3, 2013 by Jeff Schwaner.